Henry "Hank" Delbert Tucker, Jr. Celebrating the life of Henry "Hank" Delbert Tucker, Jr.
Obituary for Henry "Hank" Delbert Tucker, Jr.
Cpl. 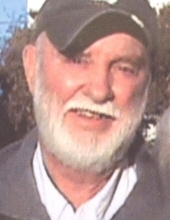 Henry Delbert Tucker Jr., 72, died peacefully in his Swoope, Virginia home on Saturday, January 19, 2019. A veteran of the Vietnam War, he served in in the 1st Battalion, Force Recon Marines. Mr. Tucker was born on July 21, 1946 in Charleston, WV to Henry D. Tucker, Sr. and Freda Virginia (Hudnall) Tucker. He graduated from DuPont High School, Charleston, WV in 1964 and left to work in trucking, joining the Truck Drivers, Chauffeurs & Helpers Local 100 in Cincinnati, from which he retired after 20 years with time for service to our nation. In 1968, he joined the armed forces and was assigned to the Marine Corps base camp in Lejeune, NC. He earned the National Defense Service Medal. Back at home, he served other survivors of the war as a counselor and mentor. Mr. Tucker, “Hank”, remained very active in his communities through out his life, serving as a fireman, EMT, and was the Youth Football Commissioner in Cincinnati, OH. Hank volunteered for the Red Cross, Habitat for Humanity, Swoope Fire Department, Virginia Community Services Board and Valley Mission here in Staunton. Hank was also a Notary Public, and served as a delegate to the Virginia Republican Party. He was a member of the Virginia State Militia, belonged to the National Rifle Association, and was a great supporter of local law enforcement. Hank was well known in Staunton and in the past was the owner of Black Hawk Detective Agency, a Bail Bondsman and recovery agent, and a School Bus Driver for Augusta County Schools. His most recent work was in Property Management and as a local building contractor. He helped people in Staunton and the surrounding area build their businesses. He left his loving companion of 14 years, Melissa Isabel, and his sisters and their spouses; Vonetta Horan (Steve), Jacque Stover (Roy), Rita Gaylor (Tony), Crystal Stepp (Dan). Also surviving is Sandra Tucker, Rebecca Pritt (Mike), Tim Stricker, Larry Stricker, and Mark Stricker, as well as many nieces, nephews and extended family. A gathering will take place at the Baja Bean Restaurant, 9 West Beverley Street, Staunton, Thursday, January 31, 2019 from 4:00 p.m. until 6:00 pm., for all the people who knew Hank and would like to come tell stories. Interment of his ashes will take place at Arlington National Cemetery, at a later date. To send flowers or a remembrance gift to the family of Henry "Hank" Delbert Tucker, Jr., please visit our Tribute Store. "Email Address" would like to share the life celebration of Henry "Hank" Delbert Tucker, Jr.. Click on the "link" to go to share a favorite memory or leave a condolence message for the family.